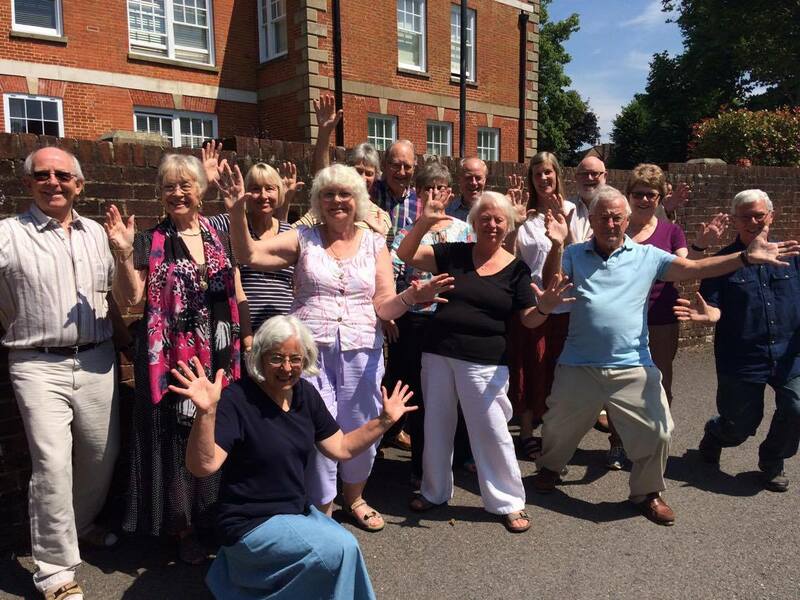 Horsham Harmony is a daytime choir, meeting on Wednesday mornings in the centre of Horsham. It is aimed at those who are at home during the day, including retirees, home workers, carers, mums and dads. I am delighted to tell you that with your help we raised a fabulous total of just over £1,600 from the fete! This is £400 more than last year’s event. Horsham Harmony is in demand as a group that loves to sing for free in care homes, hospitals and at charitable events. We put on one main ‘afternoon tea’ concert in the Summer every year; it is free to attend but with a donations pot for our chosen charity. In the Winter months we take the music to those people who find it hard to get out and about, pitching up at care homes throughout the Horsham area. The repertoire we choose includes favourite technicolor musical numbers, pop songs arranged for choirs, music hall favourites, folksongs, spirituals, Taise-style rounds and well-loved choral classics. There will be one or two challenges for our singers along the way, too! We encourage young talented local musicians to sing or play solos for us, adding a splash of truly splendid virtuosity to our programmes. This choir encourages its members to exercise their musical muscles and learn new skills including note-reading. But all in good time! We take a very gentle pace of learning our music. We are ambitious in our goals, but you won’t be miles behind on your return from a well-earned holiday or two! Each session starts with a gentle, fun physical and vocal warm-up. You learn a little every week about vocal technique. Music is set at a pitch that is comfortable; harmony lines and rhythms are kept simple; great backing tracks are developed to give ample support to voices and we also sing with piano accompaniment. You don’t have to read music to be a member but this is a skill which everyone in the choir is working towards; you can sing the tune line or the harmony line(s), depending on your confidence and ability. A separate DropBox folder contains rehearsal files—you can play these on your computer and learn your music in the comfort of your own home. These are particularly helpful for those with limited note-reading skills. If you’re free on a Wednesday morning and you are in a position to ‘give back’ to the community, then this is the choir for you. And if you need the world to give back to you a little, then that works for us too.